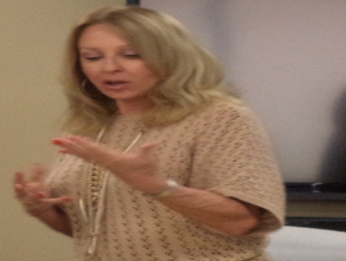 How to Move with Purpose when telling your Stories! Ever thought of earning this credential? Act Now ... ONLY 8 SEATS LEFT! When you tell a story, do you either remain glued down to one spot, or pace aimlessly? Speaking is both content and delivery. By choreographing your story ‘script’ on the platform, your stories will be more memorable! After all, isn’t that what we, as speakers, want… to be remembered and repeated? To involve your audience in what you are saying, it takes more than hearing your words. To experience your stories, they must be invited and placed into your scenes so they can re-live them with you. Why do we choreograph a story script? When re-living your stories, do not remain glued to one spot or wander aimlessly as your movements will be meaningless and distracting to the audience. Pay attention to choreographing your script; in other words, make meaningful moves on the platform. 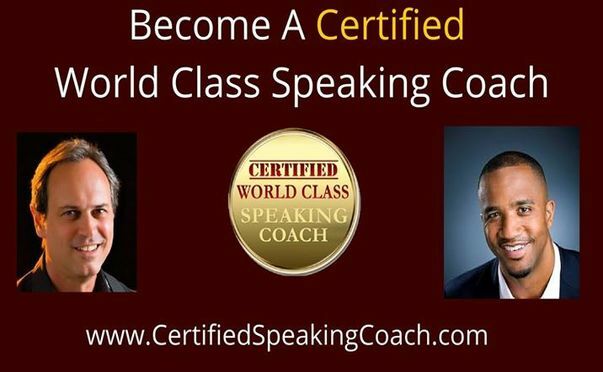 I invite you to join me next month, when we discuss another speaking skill. 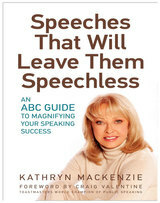 of: "Speeches That Will Leave Them Speechless"